The area is set to open first at Universal Studios in Japan, and will come to Universal's American parks some time after that. Looks interesting so far. I'm not a huge Nintendo fan, but this is something I'll be watching closely. I just hope they don't do ONLY Mario. A LoZ Dark ride would be amazing. I'm the guy who is supposed to be smart, but has less work ethic than a senior after getting accepted to a college. I am super excited about this! I can't wait. Its also inspired me to work in RCT3 again, so expect something soon. 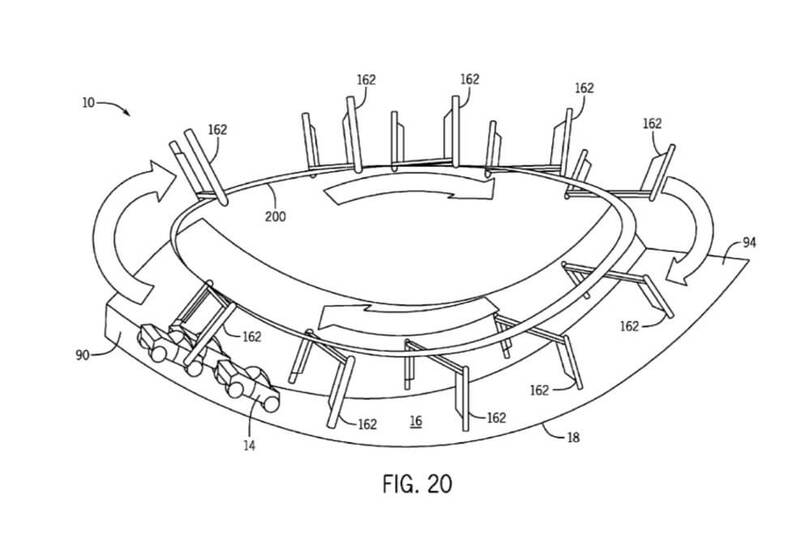 Did you guys also see the new patents that Universal has filed? 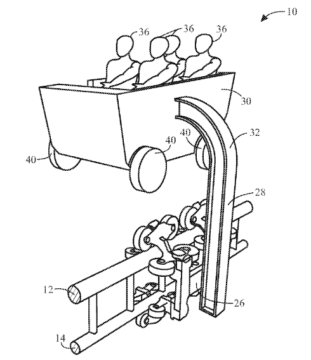 One is for a mine cart ride which we are assuming is for Donkey Kong. The project certainly looks interesting, if ambitious. I saw info about the patents a few days ago. it's an interesting idea for sure, but I have reservations about how effectively it can be executed, particularly in relation to the maneuvers the vehicle is realistically capable of and the extent to which they can hide the mechanism. Wait... Ive seen this before. I think this one the top flat track is just to have an illusion of a track and doesn't serve a purpose other than looks and perhaps to hold the weight of the car. This allows the car to "jump the track" at points. The real track is the bottom sideways one which is out of sight of the riders. I could see this being used for both Donkey Kong and Mario Kart functions. Jumping over barrels. Jumping over lava. Jumping over infinitely deep pits of nothingness. I'm all for this if they limit the movie screens. Universal has a nasty habit of making every ride 3D and basically more movie than darkride. The new king kong for example is basically all CGI movies. Awful. Unfortunately I think Nitendo will be a lot of movies. It kinda has too. If you noticed some interesting things spoken when it was announced of all three major UPR parks getting Nintendo (Osaka, Hollywood, Orlando); it mentioned very clearly that they don't want it to feel like your just playing a video game. 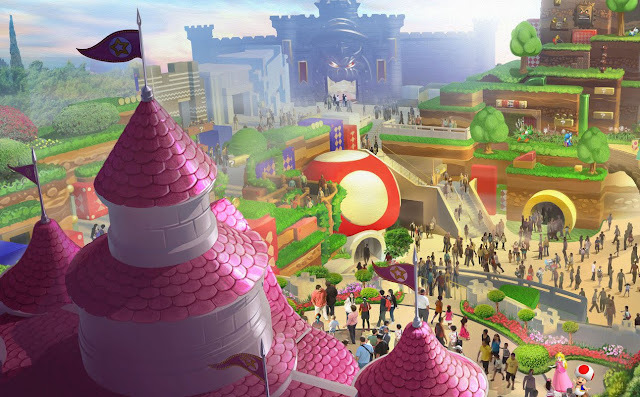 Along with some internal hearings i've had; SNW will be something that UPR needs as they have heard complaints about Screen-based attractions as they intend on resolving that issue very massively with Nintendo. I can certainly see this fitting in very well in Japan. But here... I dunno. It seems so easy to cross that border where the whole land is tacky and bland. It'll take some serious designing skills to pull it off. ^ I think that's probably my biggest concern about this whole concept. It's going to be difficult to pull off this area aesthetically and the balance between an authentic and a realistic/appealing look will be tricky to find. Go too far in one direction and it won't work. If it looks too simplistic and cartoony, then they run the risk of creating an area that just looks tacky. If they make it too realistic, then there's an issue of it not feeling like the source material. Both ends of the spectrum are a problem for the level of immersion. If it's tacky, you feel you're not in a real place; if it's too realistic you feel you're some place else, but not in a Nintendo world. I stumbled across this article from about a month ago that has some more patent images and drawings. 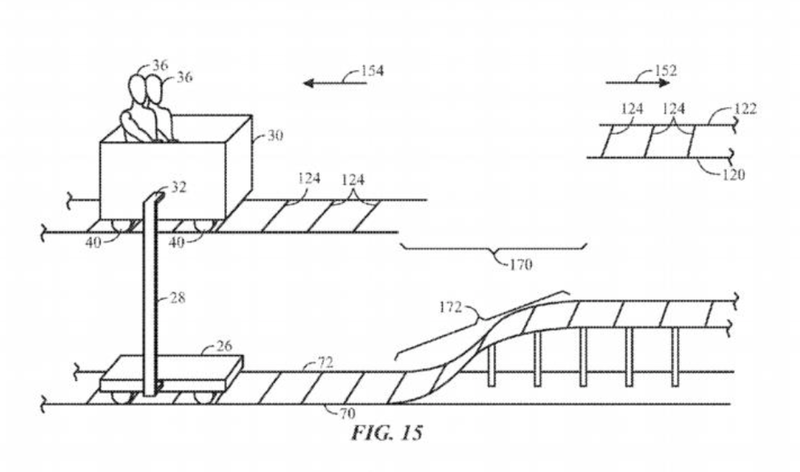 If these patents are in fact for the mario Kart ride it looks like projections will be used pretty extensively (as expected) but there also seems to be a handful of practical effects and physical scenes thrown into the mix. Are those doorways, or whatever they are, on a track that moves...? Universal just released a lot more concept images depicting what we we ill see in SWN. And finally, some sort of Zelda theater show, maybe? It should be wise, to keep in mind of what is seen here being from the original pitch given to Nintendo back in 2014. It does not represent the accurate depiction of the upcoming land for Universal Studios Osaka, Orlando, and Hollywood. Page created in 0.157 seconds with 31 queries.